The Walnut Street West branch quietly stands on the southeast corner of 40th and Walnut. It’s a beautiful building, yet it’s easy to walk right by. It sits on the edge of the University of Pennsylvania’s campus, blending in with academic buildings. The librarian we spoke with told us that he had been unable to find any other public library on a college campus, which makes it particularly stealthy. My friend Marta, who joined me on this outing, hadn’t even noticed it before. I had never step foot inside. The building looks pretty tall from the outside — 3 stories at least — so the lowish ceilings on the first floor were a surprise. When we arrived, an enthusiastic host was welcoming teens for their regular sci-fi role playing game. The entrance is cozy, with a circulation desk and a few meeting rooms. When we looked up from the desk, we realized we were standing in an atrium. The books and movies are all upstairs. Pass the copy equipment and step into an open, airy space. It was cold and dark at 5:30pm (thanks, winter), but it felt like a warm day outside in this branch. The yellow paint, the high, open rafters, and the cascading plants on the shelves combined for an other-seasonly experience. 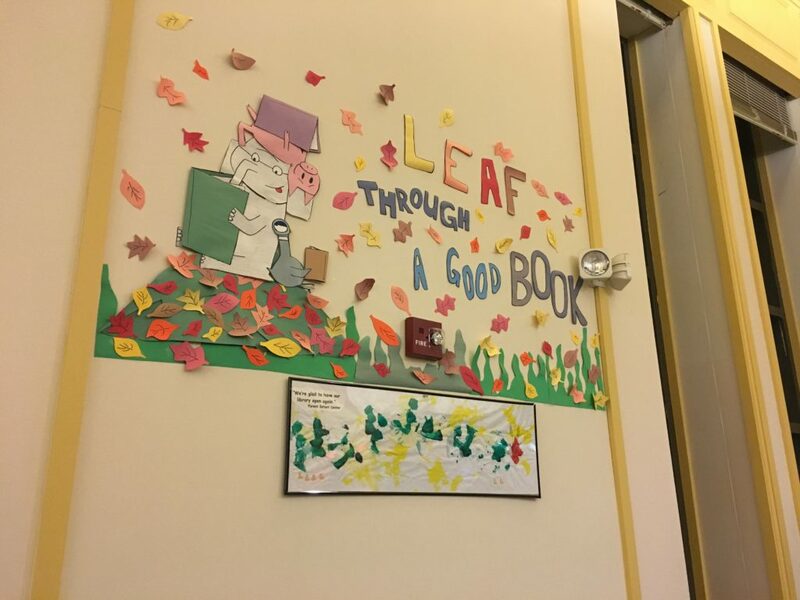 When we asked a librarian for his favorite part about the branch, he first said the ceilings. Then he paused, and clarified that his real favorite part was how many international visitors come to the library. 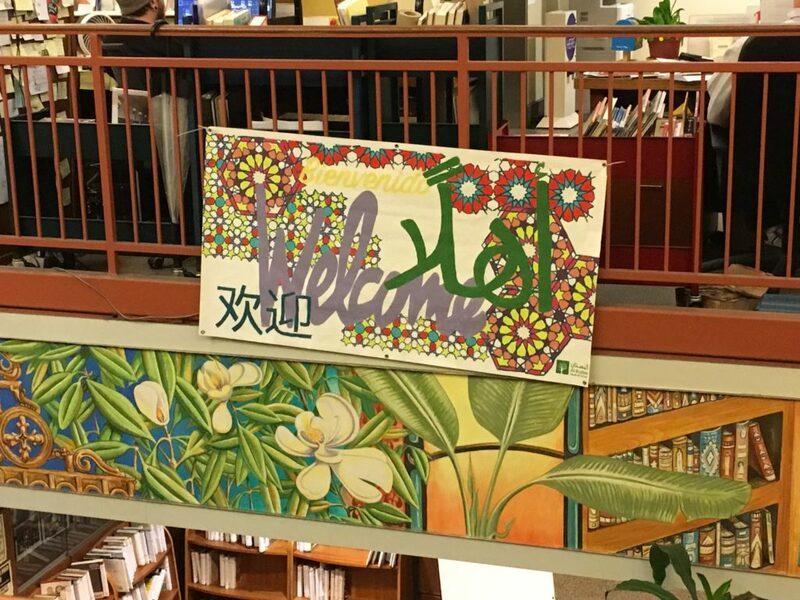 Partly because of the neighborhood and partly because of the university, library patrons come from all over the world. He referred to the Walnut Street West branch as the “United Nations library”. 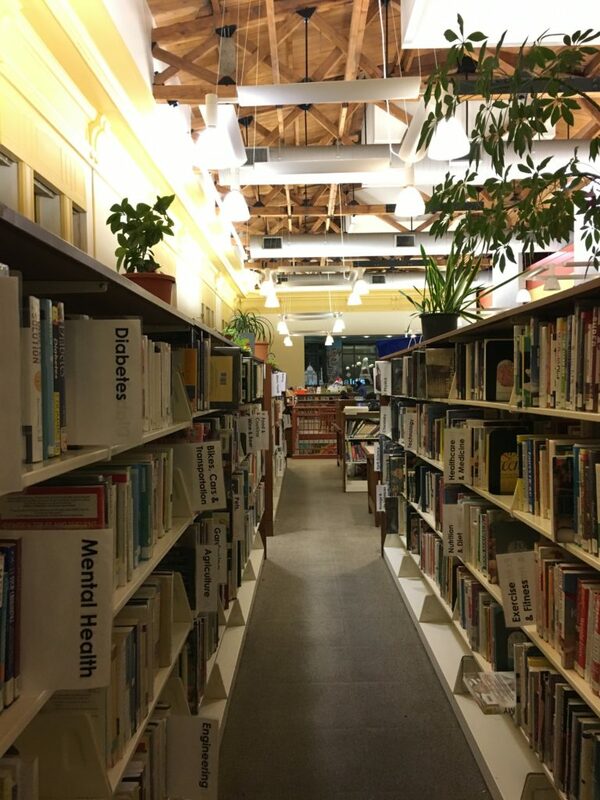 It’s not a huge branch, but it has a large foreign film section, a whole aisle of books in languages other than English, and an extensive language learning collection. This branch also hosts conversation groups for people learning English as a Second Language. Look at all the languages to learn! The Walnut Street West branch has quite the delightful children’s section. It’s vibrant and inviting. I would have loved this space as a kid. 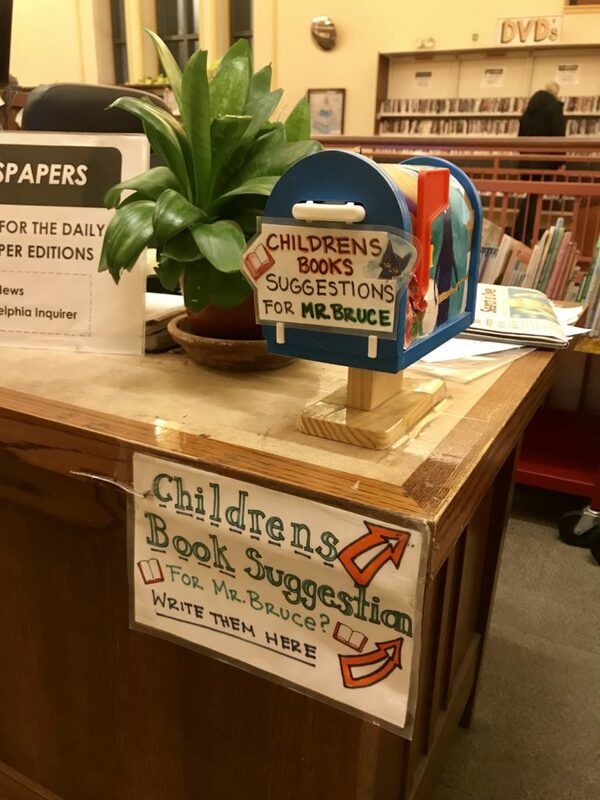 Plus, there’s a tiny mailbox up front for kids to suggest books! This branch also has more nooks than I expected. There’s even a bean bag chair hiding in a corner. Walnut Street West was closed for renovations for a few years in the early aughts. 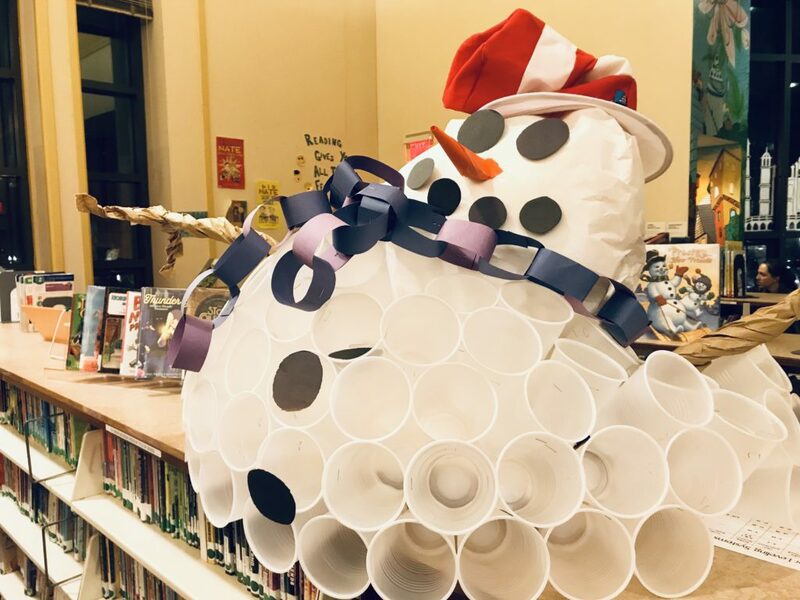 They hosted pop-up library events nearby so residents could still get books. Andrew Carnegie paid for the building and Clarence Clark provided the land. The City has the deed to the land as long as a library remains on the property. When I told my friend Rana about my library adventures, she jokingly asked if the library had given me any swag. We laughed about t-shirts & bottle openers. Then I realized that the library gives me swag all the time. BOOK SWAG. I tried to keep my selections reasonable since I already had 9 books checked out. I picked up Lesley Nneka Arimah’s collection of stories first. It looked so inviting in the new fiction section. 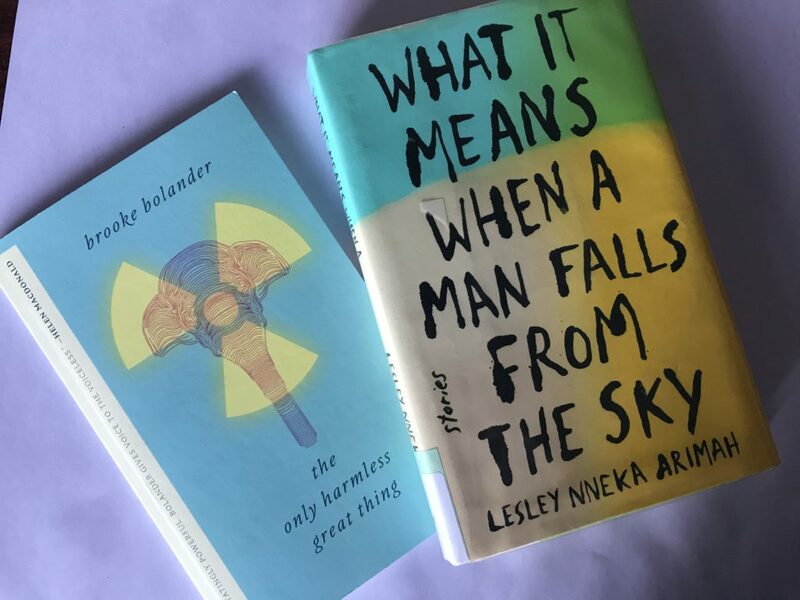 Plus the jacket says the author “was born in the UK and grew up in Nigeria and wherever else her father was stationed for work,” which went nicely with the United Nations Library theme. Then I noticed Brooke Bolander’s 89-page alternate history, and it was too weird to leave behind. This is a great library for kids, people who want to learn new languages, and anyone looking to squash those winter blues. 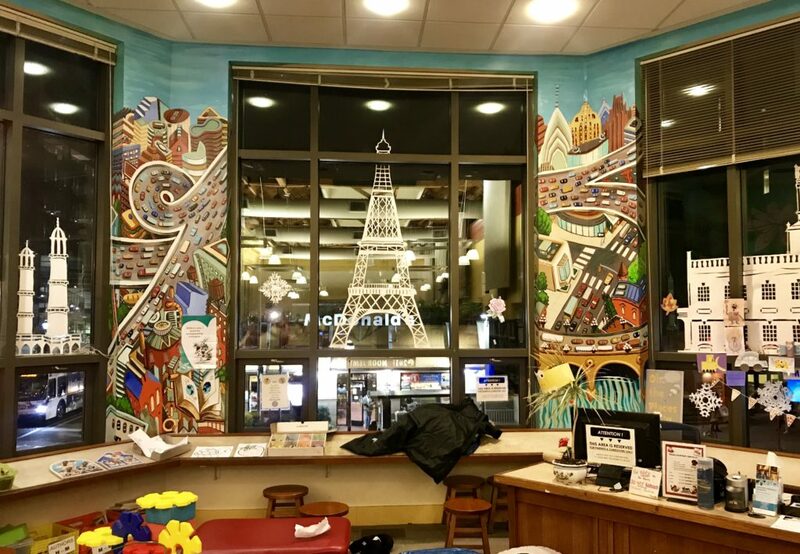 Have you visited the Walnut Street West branch? What’s your favorite thing about it? Let me know in the comments! First things first. We’re going on an adventure together! When you step foot in a library, you’re probably going to want the full experience. The books — or at the very least a book — will want to come home with you. Let’s get things squared away in advance, shall we? 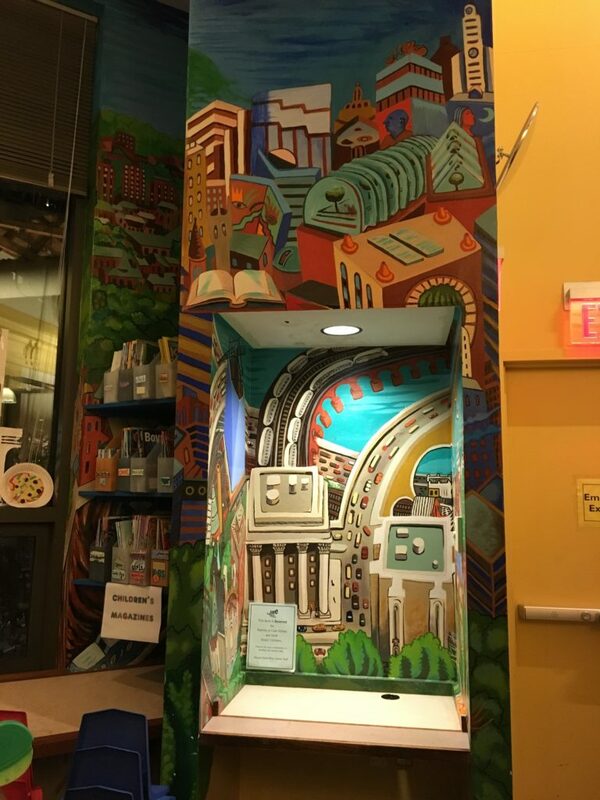 Free Library of Philadelphia locations are open to the public, but you’ll need a library card to access a lot of what the library offers. Lots of people can get cards for free, and people from outside the area can pay for a card. There are two main groups for free membership. Don’t meet one of the above? People who live in other states can get a Philadelphia Free Library card for $50/year. This can be a bargain for anyone who uses everything the library has to offer. You can apply online, apply in person, or carry a paper application into a branch. Get all the details here.